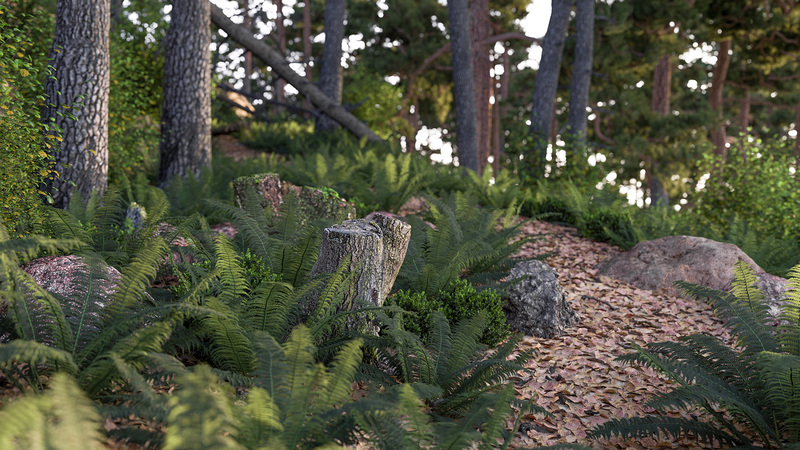 A path through a forest, rendered entirely with my hobby renderer, Takua Render. More info is available on my project pages and blog. Born in Hannover, Germany and raised in Philadelphia, Pennsylvania, I am a senior software engineer at Walt Disney Animation Studios working on Disney's Hyperion Renderer. I am very happily married to Harmony M. Li! My areas of interest cover all things production rendering, including topics such as advanced light transport, renderer architectures, raytracing on interesting hardware, volume rendering, surface appearance, and more. I am also a Master of Science in Computer Graphics candidate at Cornell University's Program of Computer Graphics. I did my undergraduate studies at the University of Pennsylvania, where I was part of CG@Penn. Previously, I have also worked at Pixar Animation Studios and Dreamworks Animation. 2019.04.19: We have a talk accepted to SIGGRAPH 2019! 2019.02.13: New teaser trailer for Frozen 2 is released! 2018.11.21: Ralph Breaks the Internet is out in theaters! 2018.10.25: New blog post about mipmapping and bidirectional path tracing.